It’s not long now until June 21, when Grand Kingdom releases. 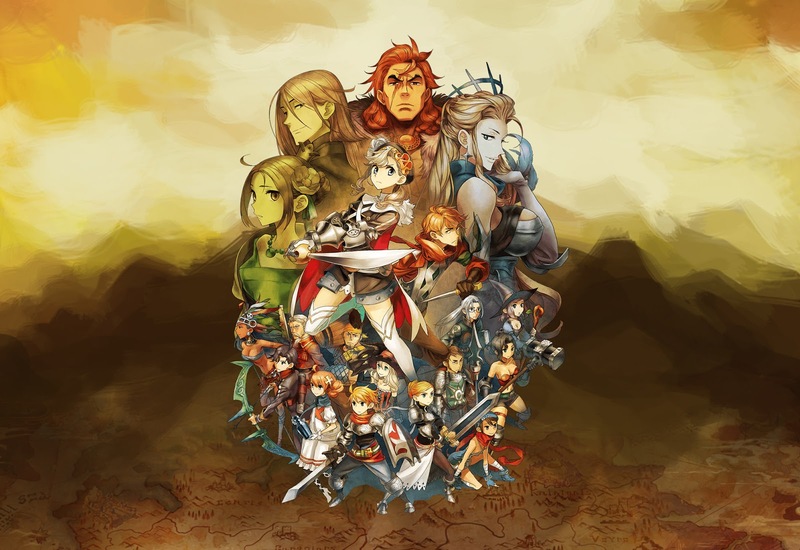 To give us an early look at it, publisher NISA has provided a demo – sorry, beta – and if the quality of this is any indication of what to expect from the full game, this is going to be one very special tactics strategy game indeed. Related reading: NISA also published the very underrated Natural Doctrine on PS4 and Vita. Our full review. I’ve created a short video, which will give you a sense of what to expect from the full game, but in simple terms, Grand Kingdom is broken up into two distinct “phases”. In one, players move their characters around a large board, that has been laid out in a grid like you might expect to see in a board game. There’s traps, enemies, and treasure to each along the way too, and at the start of each map you’re given a set number of “turns” with which to reach the end. 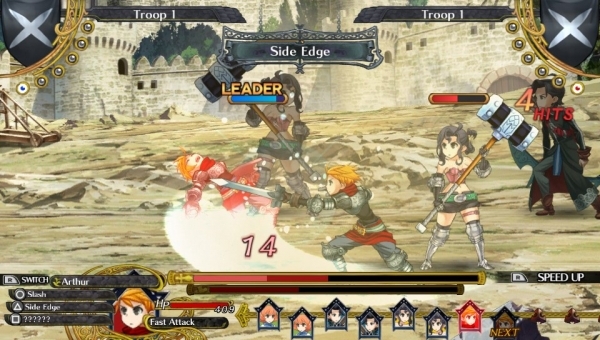 The second “phase” happens when characters come into contact with enemy units. Then the game shifts to a side-on view of the action, and this part of the game behaves very much like a traditional tactics RPG. Each character, on his/her turn, can move around the battlefield, before attacking an enemy character, either with conventional attacks, or with powered-up super attacks (which have a limited number of uses). The goal being, of course, to defeat the enemies before moving on back to the board game. There's some timing involved, too - when a character attacks they have the opportunity to string together bonus hits for more damage if timed well. Each character has his/ her own specialty – soldiers for the front lines, archers and magicians in the rear. The feel of each of these characters is significantly different, and there is a definite learning curve to each of them. The demo only gives you access to four, but the full game will have 17 or so classes to choose between, we're told. Interestingly, movement is restricted to three two dimensional “lines.” You can move up and down them at will, but what is interesting about them is that there is friendly fire, and I discovered that in a hilarious fashion – I actually had my healer throw an acid potion, which was meant to damage an enemy, but I misjudged the range, and accidentally hit my own teammate instead. What was funny about that was that the hit bounced my ally into the (almost dead) final enemy, and that bump was enough to knock the enemy out and win the battle. In other words, I won a battle from an own goal, and felt pretty good about that. I haven’t really delved into the online – which promises to be comprehensive – but already I can tell that balancing parties and then working out how to make them fight as a cohesive team is going to take some practice, skill, and that this game will have a competitive online scene. As you can see from the video and screens, the game is utterly beautiful to behold. Character art and designs are spectacular, and the fluidity in the animation is pristine. NISA is only the publisher in this instance, and the aesthetics might not be quite as “out there” as we see in NISA own internally developed games, like Disgaea or The Witch and the Hundred Knight, but MonoChro's vision is colourful, bright, and spectacular nonetheless. Especially impressive, given that this is the studio's first dedicated game project. Related reading: For an idea of what NIS does when it produces its own tactics RPGs, check out Disgaea 5, also on PlayStation 4. Matt's full review. I’ve come away from my preview of the game utterly convinced that this is the kind of game I really enjoy, and will spend an awful lot of time with. It might even just be the game that finally gets me hooked on online play, because I can see myself really enjoying pitting my wits against be buddies in this one.